Mitch's Random: Happy Birthday To Me! While everyone was still sleeping yesterday morning I fixed myself a birthday breakfast sandwich. 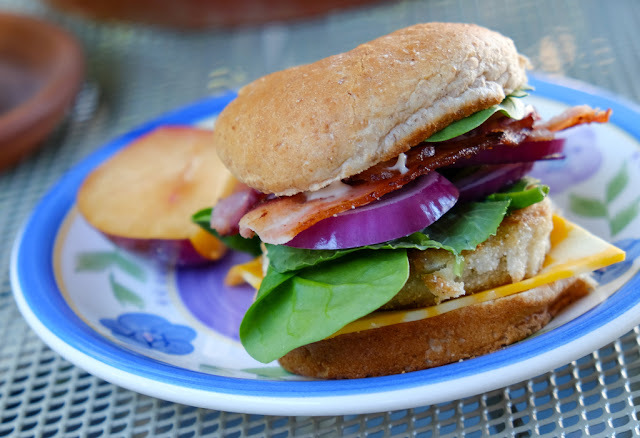 Fried green tomato, bacon, colby jack cheese, red onion, spinach, red plum slices and Duke's mayonnaise. Mama!! !